Estos implantes lo tienen todos los humanos,incluyendo los que de alguna manera estan despierto?. tengo entendido que si. tambien los tenemos. Los que estamos despiertos, aun no hemos ascendido debido a que estamos aun esclavisados. Necesitamos mucho mas que estar despierto! I'm not going to concentrate on the rest (scary) parts of these very important infos. Thank Heavens; WE are almost out of there. "....frequency of 6.666 Hz. This is a resonant frequency which tends to suppress human emotions and free will initiative". I want to be FREE from all these crap ASAP! I'll do a long and intensed, deeply concentrated meditation on October 18th, to welcome the openning of the new window opportunity for the EVENT! Victory of the LIGHT is assured! Are you saying the event date has changed from the previous dates you announced couple of days ago.
" We are hoping that this will happen in the next few months"
But in the last post he gives us a different time for the EVENT! ?? 1. (the one mentioned here) Hack the Archon mainframe computer, which would dissolve the implants and greatly weaken the Archon influence. I'm just trying to connect the dots based on what's been posted on this blog. If anyone with actual insider information could clarify it would be very helpful. wow. what a very exciting message. and the messages of meline lafont and aisha north are revealing a bunch more of these mechanics too. i don't know what happened today but it feels i've turned an *enormous* corner after a long time of feeling inside a dark umbrella full of very stagnant goo. it's actually blowing my mind. ""....frequency of 6.666 Hz. This is a resonant frequency which tends to suppress human emotions and free will initiative"." is it always an unpleasant and difficult experience for individuals when these implants are being removed/cleared, whatever? should we always work hard at doing this (through changing our beliefs and staying focused no matter what--well, i'm sure that HELPS) or is it something our HigherSelves have mostly under control? your book sounds awesome, and would help many people ease into learning the big truth--esp. helpful that it's funny! i love your idea! whenever i'm blocked with something, journaling does wonders--just purging all your suppressed, stuck emotions onto the page, then clears them from your body and energy field. Oh Yeah...the Mirror trick, Dam I learned that from a Sylvia Browne book years ago! She said her guide told her about it. I apparently reflects the darkness BACK at negative entities & also at the same time is supposed to "Attract" Positive & Helpful people because the physics is "Good energies" attract good energies and "Negative" flees from itself (repels). She also advised using "Avatars" (or Totems) that you visualize to give you power- placed in your auraic field (go nuts make 'em as big as you want) - it's the POWER of Intent I think - good stuff. So that's what the itching has been around my forehead - Good Luck, trying to kill my Kudalini - My 8th House Pluto has it's own generator - plus it's hard NOT to get "excited" when there's so much beauty in the world. So that's the "hole" I feel moving in my gut from time to time - heh, I thought it was 'gas'....nope, Reptile black hole tech trying to stifle my Kundalini - take that Ancient Aliens. This would also explain why the Catholic church (in particular) is always trying to curb & make you "Fearful" of your own Sexual Energy I suspect. do you know someone who could do this reading on me please, my intuition is telling me that i lack the knowledge of my houses and general astrology and to fully understand it i first need to understand myself on this. I will do what I can so long as the good guys go FASTER!!! Come on and get this thing done NOW!!!!!! Good stuff Cobra! Interesting timing of this info. I am actually scheduled to get my remaining implants removed tomorrow. Looking forward to this healing and all the amazing things it will bring. Will share my experience through my blog. Thank you Cobra for this very important clarification! 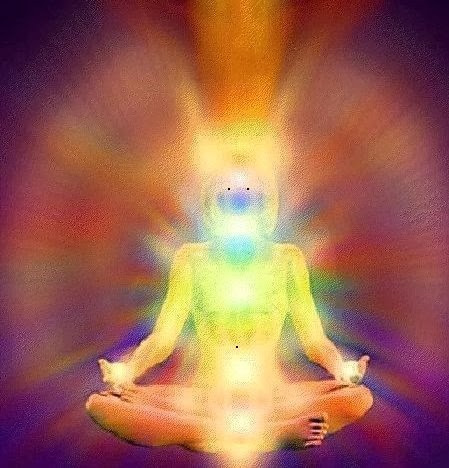 So it is very important to continue assisting the Resistance Movement right now by doing more liberation meditation and clearing techniques so that this etheric influence can be finally disintegrated. currently, the only thing that would excite me is the flash which should happen at the start of the event :D must be awesome! Please clarify the following "After December 21st, 2012, the Resistance has managed to break into the etheric mainframe computer of the Archons but the particular program regarding implants has not been hacked yet. We are hoping that this will happen in the next few months"
Does this mean that the event cannot or will not occur until the implant program has been hacked? Hello Cobra, Sites like presbeia-protoi.org claim that some of our bodies have been stolen. Is this also an issue that can adversely affect us like these implants ? Just to clarify, "the mark of the beast" refers to the 3rd eye --gateway to higher consciousness. The number "666" in this context, means: "You are God." (Kryon: The Twelve Layers of DNA", Book Twelve, p. 219). So, is this 6.666 Hz a coincidence??? That said, this article caught my eye.. because I have seen these implants within myself! And, I didn't know what they were or why they were there. Thank you for an informative article! Can I ask You... 666hz sound what kind of feelings this causes? We don't know when the event will be so in the meantime I am working on my own self-realization and lightworker duties, we can all help! Do you recommend any good astrology and physics books to buy? "Kushyar ibn Labban's introduction", maybe? Cobra you said: "One implant at the etheric solar plexus membrane suppresses emotions and sexual energy and is thus used to control sheeple." Here is something to think about. I am a direct descendant of Quanah Parker, whom was the last Chief of the Comanche Tribe. Quanah is my Great-grandfather. Quanah Parker had up to 8 wives. Quanah's first wife was Apache and she wished to return home and Quanah sent her back to her people. He then married Wec-Keah (Weck Key Eye) whom is my Great-gradmother. "A long time ago I lived free among the buffalo on the staked plains and had as many wives as I wanted, according to the LAWS of my people. I used to go to war in Texas and Mexico. You wanted me to stop fighting and sent messages all the time "You stop, Quanah." You did not say then "How many wives you got, Quanah?" Now I come and sit down as you want. You talk about wives. Which one do I throw away? You little girl, you go away, you got no Papa. You, little fellow, you go away. You pick him?" In case you are not asking real questions by now, I had some. Why were these 'people' afraid of Quanah having many wives? It wasn't like a 'cult' or an extreme religion associated with 'some' states in what is now called America. Quanah was a generous person, no one was turned away. If anything 'funny' was going on, it would have been quickly noticed, as there were always many people at his 'Star House'. You have to think about what I present here. We are talking about Human sexuality and how it has been tampered with, among other things such as true Human DNA and the many 'unaccounted' strands. The 'church' and the symbol of the 'cross'...what do you think of that? The 'cross' was never a symbol of the Comanches, nor any other indigenous people around the world, but somehow 'it' made its way into everyone's life. How did that happen? So, really, there is 'living' proof of how the dark entities have 'tampered' with humanity in every way. Think about it. I will commence operations to start targeting these remaining archons and their implants sometime in the next few days. Should be some interesting etheric fireworks no later than Saturday CST. Beloved Cobra, the window of opprtunity is now open :). I will be working diligently from my end (what little we can do from our own prospective, i.e. sending Light & Love) & lets hope this window of opportunity becomes the window to end the tirany we have lived with for so many years. All the cabal systems are failing and lets hope we can raise from the ashes "new & improved" and one with our Galactic Family. Love and Light to you all fighting the battle behind the scenes, from your brother George. I sure hope this all ends soon. Just found out that my electric company is going to be installing smart meters in residences next year or so. Not sure on the exact date yet and if I will be able to opt out. I'd like to live off-grid, but it's not that easy to just pick up and move, find a job and leave friends and family. This on top of the GMO's, the economy and NSA. Well, you know the story, the cabal and Archons are throwing everything at us in a desperate attempt to stay in power. I understand the cycles of Astrology and the chaotic time we are in. The Pluto-Uranus square is to last until the spring of 2015 and it's going to help dismantle the cabal. I'm not sure you can even tell us, but do you know if it will take that long for the Event to happen (2015), and get a new financial system in place? Could it take longer? Will there be two kinds of groups on the planet, one living off-grid and the other still plugged into the Matrix? If you could shed some light and guidance on all of the above in your monthly interviews (I listen faithfully), it would be much appreciated. Meg lett tiltva a Galaktikus szövetségnek, Androméda képviselőknek és a többi űrharcosnak, hogy a föld lakóinak égi üzenetet küldjenek. Nagy valószínűség szerint, ha még is küldnek, akkor megszegik a tiltást, vagy aki fogadja, az rosszul csatornáz, és negatív befolyásoltság alá kerül, jobb esetben megtévesztés él át. Ez a tiltás azért lett meghozva, mert most történik az ocsú, elválasztása a magtól. Másként szétválasztás történik, aki elkezdték a felemelkedést csinálni, és azok, akik ezt nem kezdték még el. Kérem, aki teheti, az terjessze ezt az információt, mert most fokozódik a félrevezetések, és megtévesztések száma. I'm a skeptic but an open-minded person (and truthseeker). My only question is: is this all really real? any hard/solid undeniable proof? I have been experiencing a lot of gut and bowel discomfort and pain in the last month. Low grade fevers and headaches. I see the central sun in my solar plexus and when I meditated on the problem, I found something of a draconian nature attached. I have called in archangels to remove this thing. Is it enough? I'm not really sure what is going on, but your blog is the only thing resonating with me. Are you aware of Saint Germain? Some weekends ago I called for his presence and sweet assistance and asked him for the use of the violet flame, then called for... I am not sure if you have done this yet my dear friend, but for Raphael presence. Well anyways, negative entities doesn't like feminine energy so if you uses your energies to heal yourself, imagine and feel the violet flame in both of your hands. 1-When you got the feelings the energies are flowing in your hands, put your right hand up your left hand and begin to rotate both of them( left hand - clockwise and right hand - anti-clockwise) as fast as you can. 2-Try to feel this energy rotating within both your hands and imagine a vortex/ hurricane like of violet flame, with rays of pink light and thin pink mist coming out of it. 3 - Imagine that the fast you rotate it, the stronger the energy becomes and then imagine white sparks of light flowing with the small vortex. Vaaaaaam- Sacral Chakra -> Both those chakras are connected with survival extinct and sexual energy. Ooooooom- Crown and Third eye mantra: strengthen your connection with your Soul. Sing the mantra and continue imagining what was said in 1, 2 and 3. Imagine then the energy covering the local where these entities are placed and your energy, like a wave covering everything inside it and finally dissolving it. When you feel you've ended, relax, thank Masters Saint Germain for his dear creation and imagine a green brilliant light now, asks for Raphael's guidance and put your hands in each region of the implants. This is my ethereal body. With my free will I order you to get out of it. NOW. I undone every single contract with negative entities and dissolve every implant in my body in relation to it. And if any of you come close to me again, be it in my conscious, subconscious or unconscious, no contract or implant will be permit to be placed on me! I ask now for the protection of my “say the name of your guide/angel” to guard and protect me from any dark entity who tries to attack me or place anything on me till the Event happens and till I ascend from the lower densities. That's what I’ve done my good friend. I am feeling better now but I felt the same pain as you when writing it. *Vibrations (Mantra) to oppose their scalar waves. *Rotating Energy to rotate against their implant. *Violet Flame to dissolve it. *Pink Ray to calm down the region and weaken the dark entities. Now, this is just a suggestion. I am felling better than before, but I can't see if they are out of me or not so lol. From the core of my being i love you all, blessings and peace. Just wow. It had to be something divine that lead me here. i have been fighting this war since two years back, when i started to practice self healing under deep trances. i remember my life making a turn for the best when i accidently discovered that black hole in my stomach and ripped it out with my practiced etheric hands that i used to remove implants (didn't know they were implants then) from myself. My life got better and better, i felt so much energy in me that i was about to burst (hardly needed to eat and needed very little sleep) also under shower it appeared as my chest and stomach were glowing from radiance, i started to meditate about a year back and i mainly practiced third eye, heart and Merkaba meditations, i had so much energy i felt the merkaba around me physically and in time it got so strong that radios, walkie-talkies, tv, computers, lamps etc. started to misfunction around me, in no time i learned how to send energy to others (mainly sick elderly) and my energy field somehow was a little magnetic and repelling. I have a co-worker that always seemed very negative and he gave me the death look, but i didn't give a sht about it, he seemed to get sicker and sicker day by day and i felt compassion for him and opened myself up to him only to realize that he got sicker from his own etheric attacks and "demon" summonings he did against me ( he is a pagan practicioner ) doesn't matter anymore .. since that day i opened myself up to him and gave him my own energy so he could heal. the next day i was feeling very sick, didn't know what hit me, when i went to work, i saw him smile at me the first time in a year and the smile was a kind of satisfactionary sadistic hued. idont know what happened but i feel like i felt before all that started, my sexual drive is down, i get stressed easily, i feel fatiqued, and i don't seem to be able to summon the energy anymore to even help myself sometimes. what do? So so many affected; myself and my love ones included. Thank God for sending someone. Somehow how i know now this is goung to be successful. Thank you our interdeminsonal and planetary friends. I hope we are always friends and can help if we are needed. So much makes sense now. I cant wait to meet everyone. Love and Peace be with you. Hi Guys. First at all I want to thank to strangelets for bringing me up here. Without them I would never get over here. Basicly I think that stranglets bombs are not an issue. Either they dont exist or aren't any direct danger to our planet. I could explain that if anyone is interested (just my feeling/assumptions) as no one can be 100% sure. I think we should stop chasing ghots (strangelets bombs) and focus or sth more productive like our weekly meditation. I have never meditated before but from now on I will do my best to help us all on Sundays. What more I will try to talk my friends/family into it as well. All I did was some breathing techniques in the past to help my self relax. I will try to add some visualisation to it - hope it helps. I got also some question to more awake/aware people on here-please try to answer me I you can. I can't explain that, but I got a feeling that our Mother-Earth is somehow self aware-conscious, what are your thoughts, feelings? Hi guys. I got many things to say, will try to keep it short. Im not sure about anything I can only feel/guess. So firstly I think strangelets bombs are not an issue either they dont exist or are not a treat to our planet. Can explain it if anyone interested. Secondly from now on I will participate in our sunday liberation meditations. I never meditated I just did some breathing techniques to relax. I will also try to talk my friends/family into it - hope it helps. I want to ask all you more awake/aware people on here If im wrong or right about our planet. Basicaly I got a strong feeling I cant explain that our Mother-Earth is somehow self aware-conscious - what do you think/feel? Good luck guys - I will do my best to help. what happened to everyone in 2014?